In medium bowl, mix yogurt, mayonnaise and salt. Stir in chicken, celery, green onions, cherries and pistachios. 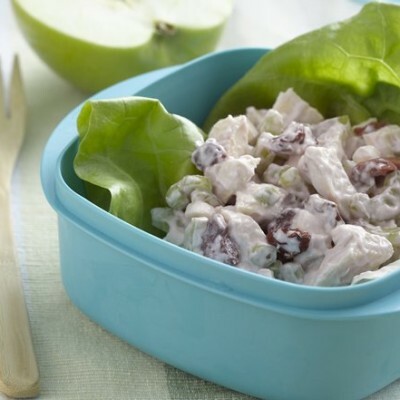 To serve, spoon 1⁄2 cup chicken mixture on each lettuce leaf.